The research on Customized Local Road Vehicles (CLRV) is currently underway with the project team going around the country to document different jeepney designs. The main objective of the study is to be able to formulate and recommend standards for jeepneys based on the requirements of stakeholders (e.g., passengers) and from the perspective of safety, ergonomics and efficiency. The last term is quite tricky as efficiency here generally refers to the performance of the vehicle, particularly related to fuel consumption. Efficiency may also touch on the capacity of the jeepneys, which would have implications on revenue (i.e., more passengers mean more fares). Following are photos taken prior to the recent workshop held in Calamba, Laguna where the outcomes of previous workshops in Iloilo and Davao were presented for validation by a similar group of stakeholders. These included cooperatives, assemblers, automobile companies, NGOs, government agencies and other interested parties to the CLRV research. The study is being conducted under the auspices of the Philippine Council for Industry, Engineering and Energy Research and Development (PCIEERD) of the Department of Science and Technology (DOST) and funded by the Department of Transportation and Communications (DOTC). 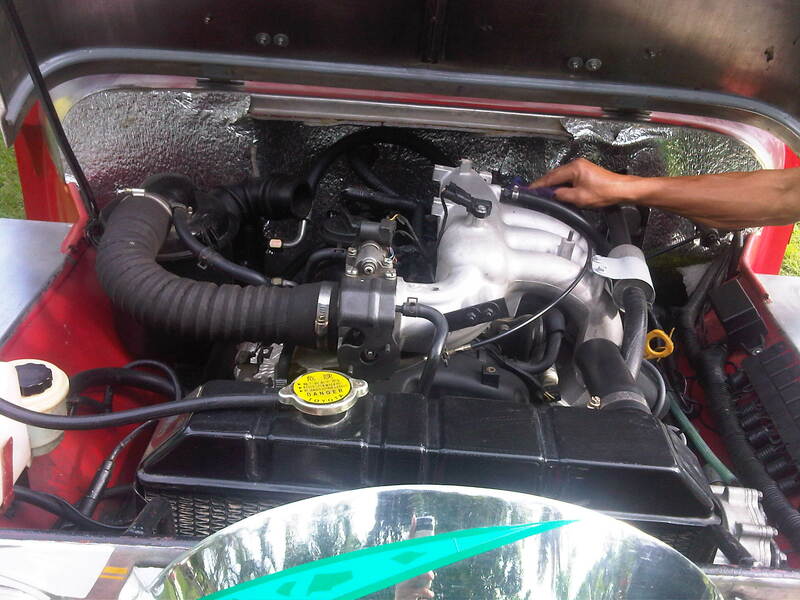 Another look at the engine, which is practically the same engine used by the popular Starex vans. There were two other LPG jeepneys that day with both having Toyota engines converted for LPG. The engines are from the ones used by Hi-Ace models. 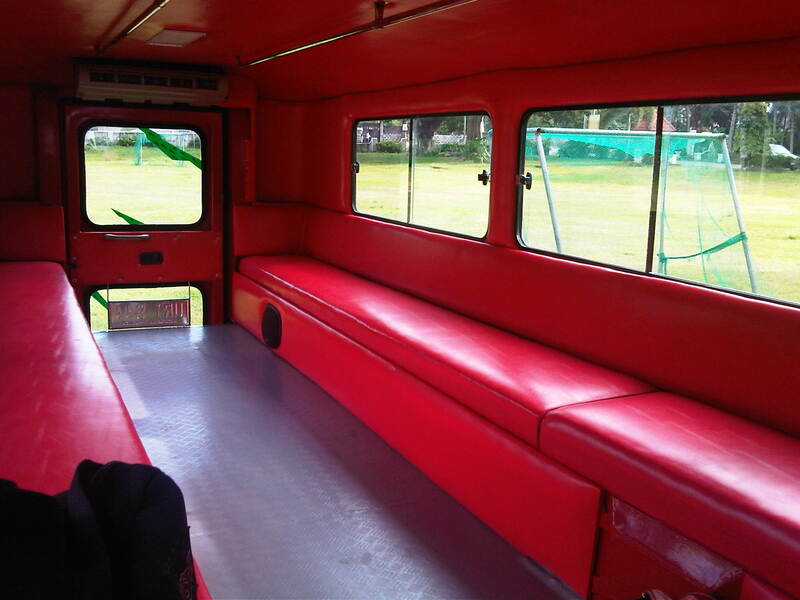 Bench seats inside the LPG jeepney – there is still a door at the rear but it is used as an emergency exit rather than the main entry/exit for the vehicle. 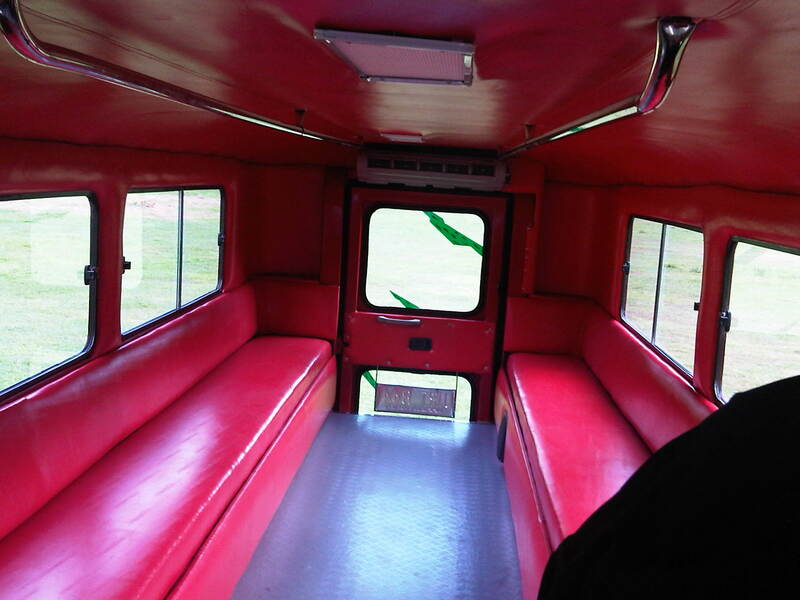 The sliding windows are sealed because of the air-conditioning installed for this jeepney. The main door for the jeepney is at the right side just across from the driver. This design mimics those for buses and should enable more efficient collection of fares. That is, passengers may be asked to pay their fares immediately upon boarding the jeepney. 6A close look at the dashboard, which is a mix of parts coming from different vehicles. 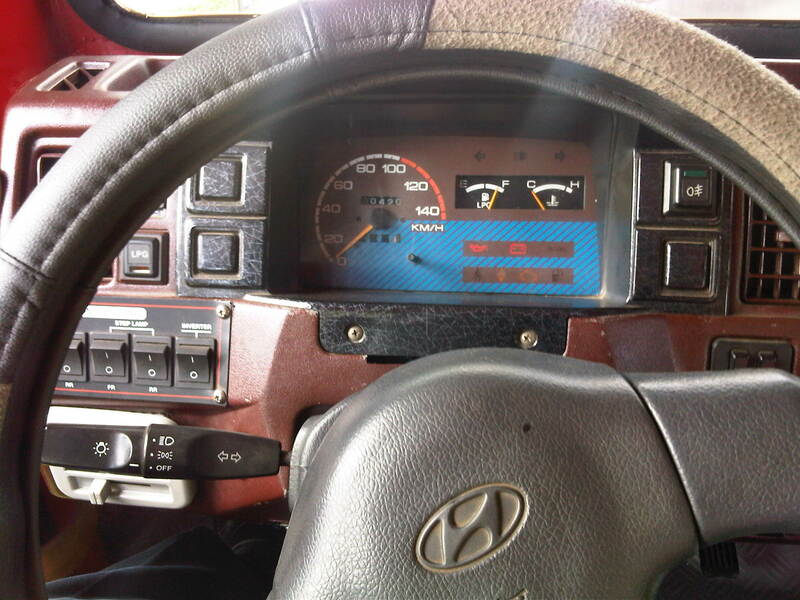 The steering wheel, for example, bears the emblem of Hyundai. 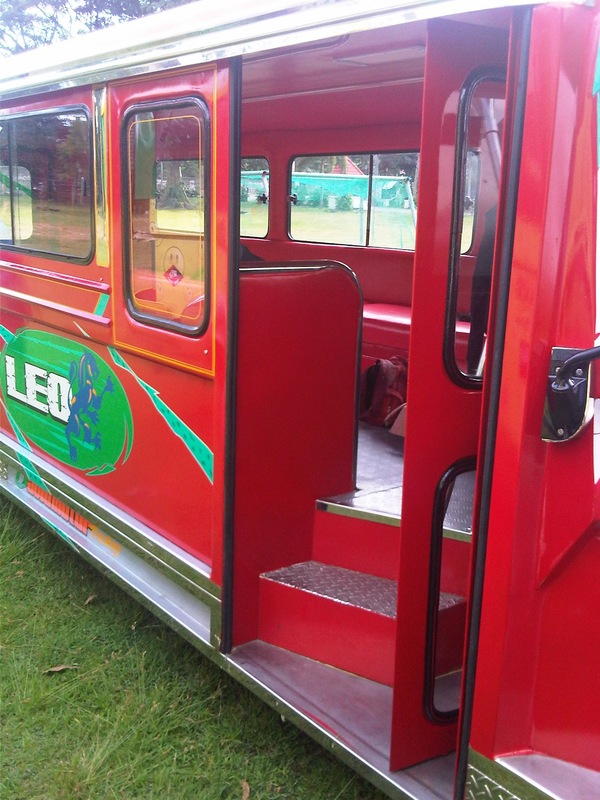 This jeepney had power features such as power windows that can be controlled by switches on the panel board to the left of the steering wheel. Driver’s rear view of passengers and whatever will be trailing the jeepney in traffic. 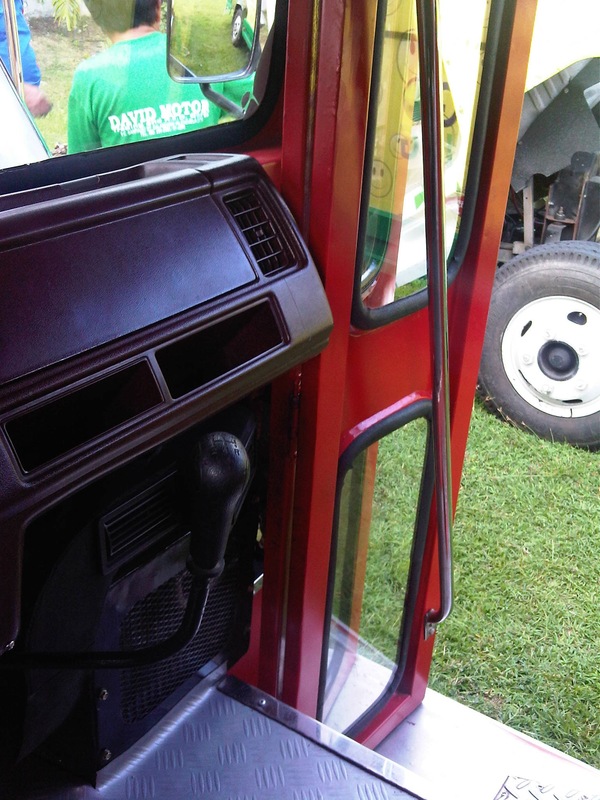 The jeepney door is operated through a lever, parts of which are taken from a gear shift. The handle is well within reach of the driver of the vehicle. Exec. Dir. Rowena Guevara of DOST-PCIEERD interviews the driver and mechanic of this LPG from David Motors. According to them, the performance of the jeepney is the same as conventional ones and that this less noisy as well as having less emissions. Assemblers of LPG jeepneys say that consumption is about 7.3 km/kg of LPG, which compares well with the estimated 7.5 km/L of diesel consumed by well-maintained conventional jeepneys. LPG is cheaper so it can be inferred that overall, drivers and operators would have increased revenues if they used LPG jeepneys. The LPG jeepney is one (there are also electric jeepneys) of the variants being touted as the future of the vehicle. The “eco” tag is among the pitches for these jeepneys and should be a consideration for the study. By d0ctrine in Jeepney, Paratransit, Research on November 1, 2012 .